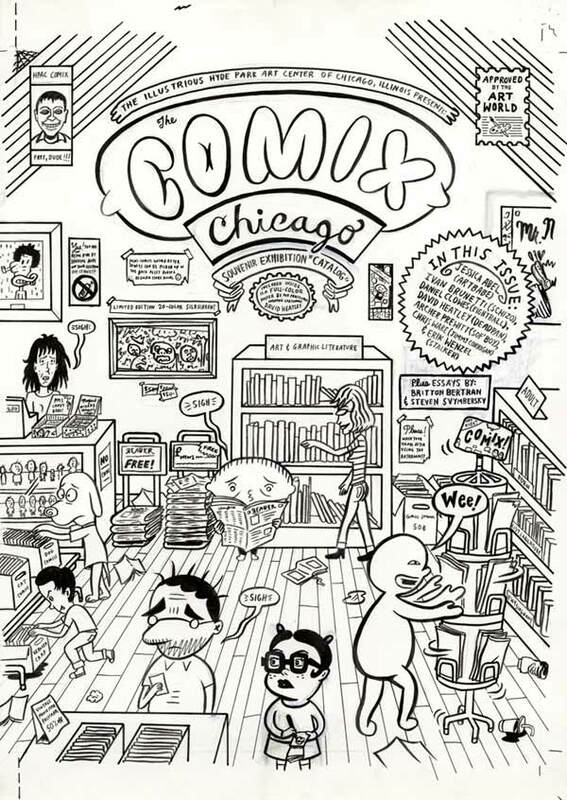 Cover art for catalog for the Comix Chicago exhibition in 2003, featuring the work of Ivan Brunetti, Dan Clowes, Archer Prewitt, Chris Ware, me, and others. The scene is a comic book store filled with characters by all the artists in the show - it's loosely based on Quimby's in Chicago. Ink and graphite on bristol board. Page approx. 12.5" x 17.5"